The Supreme Court on Friday deferred to the second week of January, 2019 the hearing on the constitutionality of Article 35A in view of the Panchayat and municipality elections scheduled to be held in the state of Jammu and Kashmir between September and December. 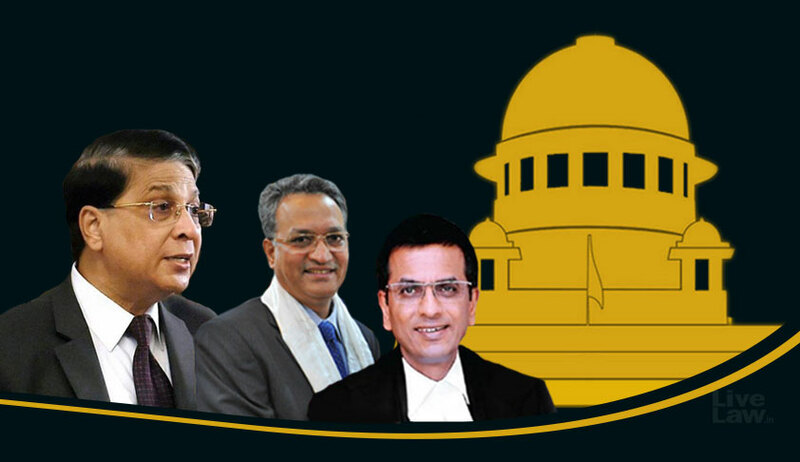 The bench headed by Chief Justice Dipak Misra also orally observed that an arrangement may be made whereby the local lawyers in the state do not continue the strike that they have embarked on in anticipation of the hearing. “A large number of companies of paramilitary forces have been deployed in the state on account of these elections...the issue is so sensitive that everytime a discussion has to happen, a law and order situation arises...a strike is going on even now...please let the matter be heard in January, February or March after the elections...”, concurred Attorney General K. K. Venugopal. However, Several Advocates contended that the issue is “always sensitive” and questioned how the elections in J & K are relevant to an order of the apex court. When the Chief Justice asserted that in Sabarimala Temple case there was no question of validity of any constitutional provision, the former Solicitor General replied that Article 35A was also incorporated only by virtue of Constitution (Application to J&K) Order 1954 and was not to be found in the original constitution. When it was prayed that at least the interim application in respect of admissions to state colleges be allowed, Justice A. M. Khanwilkar observed that the same pertained to an individual issue while the court was presently concerned with the law and order scenario. Chief Justice Misra weighed in that the bench is dealing with the validity of a constitutional provision and directed that all interim applications be heard with the main matter. The AG had also suggested that the interim applications be filed in the Registry and that the same could not be tendered across the bar. A Senior Advocate, appearing on behalf of petitioner Charu Wali Khanna, reiterated the grievance of children of women married to non-state subjects losing their right to education, inherit property and vote in the state. At this point, the ASG conceded that though a gender discrimination issue is attracted, the matter still be heard only after the elections. The concern regarding the local advocates being on strike was repeated by the Senior Counsel who, relying on Ex. Captain Harish Uppal v. UOI and Hussain v. UOI (2017), contended that the lawyers do not constitute a trade union and hence, the strike was not justified and sought permission to approach the Chief Justice of the J & K High Court. “They come here and argue but there is a complete shut down in the state...please let me go to the Chief Justice of the High Court”, he prayed. However, Chief Justice Misra noted that as the matter is pending before the apex court, the bench could not ask the Senior Advocate to move the High Court. The hearing on Friday also witnessed such claims as that the impugned Article attempts to create a theological state in treating certain persons as second-class citizens. It was also advanced that the persons who have approached the Supreme Court have been defranchised and are not taking part in the elections.